When it’s time to crank up the heat, it’s time for Hotter than Hot Sauce. 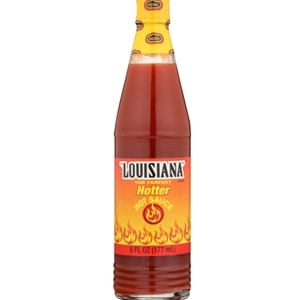 With the fiery flavor of aged red peppers, including habanero and cayenne, it’s everything you love about Louisiana – only hotter. Ingredients: "AGED RED PEPPER (INCLUDING HABANERO AND CAYENNE), DISTILLED VINEGAR, SALT."